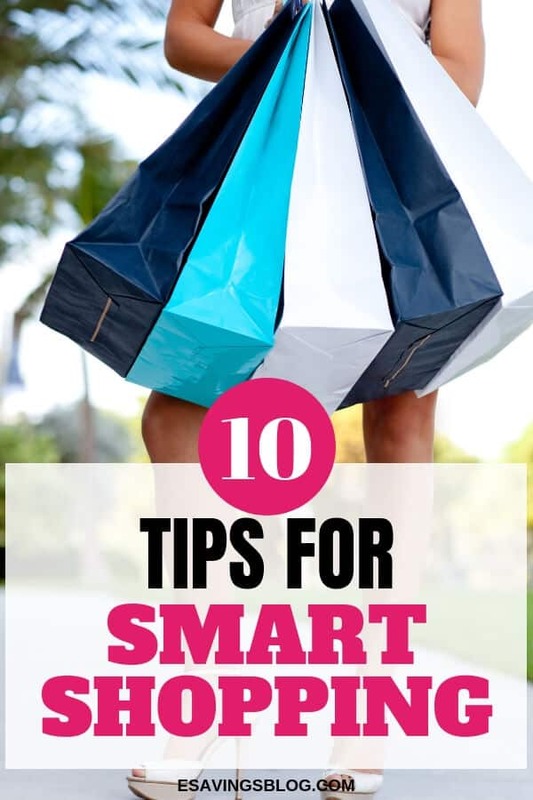 10 Smart Shopping Tips to Help You Save Money! Smart shopping takes a little planning, product knowledge, and some patience but it doesn’t have to be hard. Once you get the hang of it you’ll be better off financially. You will save tons of money and start to realize all of the things you wasted money on before. You can find everything you want and need for a good deal if you’re willing to stick to a few smart shopper rules. Let’s start out simple. Make a shopping list! Keep a running list of the items that you need and want. The list should include things you find you need along the way. If you then see one of the items on sale at a price you’ve determined is good (assuming you’ve saved the cash for it), you can buy it. When you create your list, that’s it. Don’t buy anything that’s not on your list or that you’re not specifically shopping for. If you’re shopping for a new mattress, don’t buy a new dresser just because it was an extra discount for buying two items. It might seem like you’re getting a good deal, but impulse buying is almost never a good deal. For each item that you plan to purchase, set a budget. Base the budget that you set on what you can afford and how long the item is going to last. If you’ve never set a budget or need help budgeting, check out How to Create an Effective Budget. Budgeting doesn’t have to be hard or restrictive. It actually allows you to relax because if you know you have $100 in your budget to spend on clothes, for example, then you won’t have to wonder if you can afford that new sweater or dress. Want some FREE Budget Printables?? Join My Newsletter and get access to the FREEBIE LIBRARY filled with printables and guides. Get access here. Studies show that people spend about 50 percent more when they’re using plastic, whether it’s a credit card or a debit card. That’s because we don’t see that as money even though it is. That’s why Amazon is so successful. They collect your payment information up front, then when people click for their “one-click” purchase it’s like it’s not even money. Simply put, you’ll spend less when you use cash. Of course, when you shop online you’ll have to use a debit card or credit card but you can pay it off immediately afterward. If you love the idea of credit card rewards (I love rewards) and often shop online just make sure to pay it off soon after purchasing (same day if possible). If doing that seems like too much work you can always use a service like Debitize which will do it for you. When shopping either online or off. Always price compare! You can do a quick comparison with apps like Shop Savvy and the Amazon app. Both have a scanner feature that allows you to scan a barcode while at the store to do a quick price comparison! 5. Do Your Research and Read Reviews Before You Shop! No matter what you want to buy, there are usually always reviews online. If you don’t have a computer, you can go to the library or use your phone. Just beware of fake reviews and check reviews on other sites rather than just the site you’re buying from. I suggest checking reviews from a few different websites and try and make sure they are “verified purchasers” that are leaving the reviews. When you’re in the store, ask for help. Some online stores also now have chat features so if you have a question, don’t be afraid to ask. That’s what the associates are there for. Customer service is there to help you, whether it’s online or offline. Often, they know about coupon codes and other information to help you get a deal. Sometimes salespeople who sell on commission can change the price too. Online chats are great to ask for any coupon codes available. The worse they can say is no. By far the easiest way to shop smart and get the best deal possible is to use coupons and rebates! If you’re new to couponing you can grab my free beginners guide to couponing which is located in the FREEBIE LIBRARY. If you mainly shop online, use a browser extension like the Honey Chrome Extension and Genie. You can also take advantage of cashback sites and coupon apps that give you cash back when shopping through them. Sign up once for free and save money every time you shop. Yes, it’s fun to shop with friends but it can also cause you to spend more. If you want to shop smart, go alone. This way if your friend starts pleasure shopping you won’t be tempted to jump ship and join them. Even if your friend isn’t a pleasure shopper they may be purchasing something and getting a good deal and you may feel like you need to jump on that deal as well. If you’re lucky enough to have a friend who can stop you from buying things you don’t need then ignore this and bring them. If you have kids the same can apply but it’s a little more difficult not to shop with them :). So just be cautious and make sure they have a snack and something to keep them occupied in the store. One of the biggest shopping expenses you’ll incur is eating at restaurants and fast food establishments. Instead, eat well at home before you go out to shop so that you’re not stopping to eat in between trips. You also don’t want to grocery shop hungry! If you do you will end up buying things you don’t need. You may even find yourself snacking and buying a beverage to have while you’re shopping. Bring snacks and beverages from home especially if you’re taking the kids. No matter what you do, it’s best to avoid impulse buys. If it’s not on your list as an item you need, then don’t buy it. Plain and simple. Don’t go to stores to window shop and avoid shopping malls or going to the store “just for fun”. 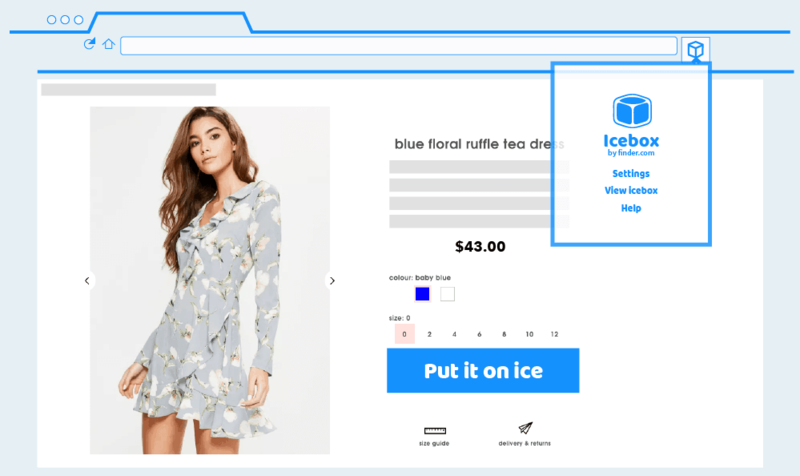 If you have a problem with online shopping consider using a money-saving Chrome extension called Icebox. The Icebox for Chrome extension replaces the buy button on the most popular e-commerce stores, automatically saving you from your weakest moments. So if you feel like you may be doing a lot of impulse buying then you may want to try this extension out! This is a great extension to enable during a no-spend month. There are so many benefits of being a wise shopper! These smart shopping tips will help you make good and smart shopping choices. You’ll spend less money, buy fewer things that you don’t need, and focus on value when you do make a purchase. Want tons of value for FREE? Signup below to access my FREEBIE Library filled with great resources and printables. This is a great list. I basically do everything on this list. I’ve been able to save a lot of money by doing comparison shopping and waiting to buy big purchases on sale. I’m also a big proponent of using cash back sites. I’ve saved a bit of money that way. Especially cause with some of them you can also get cash back on offline purchases. I’ve tried to turn my family on to them but they’ve shown little interest.